Izzy Stradlin is explaining his absence from the Guns N’ Roses Not In This Lifetime reunion tour in a new story by The Wall Street Journal. "The current GN'R tour has been a great success for the guys,” said Stradlin in a released statement. “My nonparticipation was simply not being able to reach a happy middle ground through the negotiation process. That's life. Sometimes things don't work out." The trio of Axl Rose, Slash and Duff McKagan are in the third year of the reunion run, which is now among the top five biggest-selling concert tours in music history with gross sales of more than $475 million. Earlier this year, former Guns N’ Roses manager Alan Niven revealed that Stradlin bailed on a guest appearance on the tour last year. Stradlin, who co-founded Guns N' Roses with childhood friend Axl Rose in 1985, first shot down rumors of his involvement in the tour when it launched in the spring of 2016, telling Rolling Stone “There was just so much speculation going on regarding my involvement and studio recording. There’s so much misinformation, so I wanted to clarify that I'm not in the studio recording with any of the Guns N' Roses guys. At this point in time, I'm not involved in the actual shows ... A lot of stuff [fans] are reading isn't true." 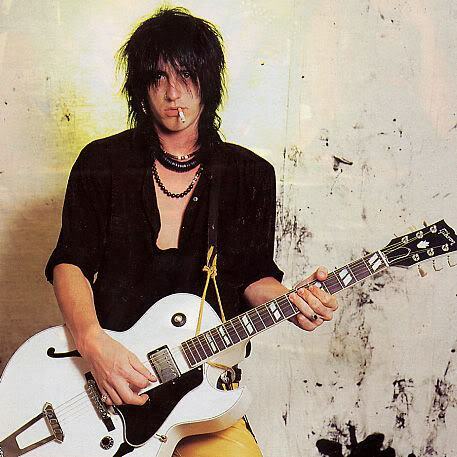 Stradlin – who left Guns N’ Roses in November 1991 during the band’s tour in support of the “Use Your Illusion” albums and was replaced by Gilby Clarke – has performed with the group several times since his departure, including appearances in 1993, 2006 and 2012.